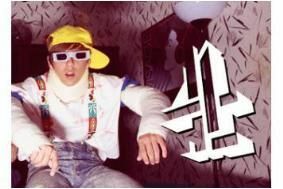 Get ready for 3D Week on Channel 4 | What Hi-Fi? Channel 4 will be showing a variety of 3D programmes from classic horror Friday the 13th Part III to a new Derren Brown show. The channel is "not talking state of the art IMAX technology... but some good old-fashioned fun", with old footage from 3D's heyday to new, unseen content. Pick-up a free pair of glasses from Sainsbury's to enjoy programmes such as The Queen in 3D, Flesh for Frankenstein and the equally terrifying sounding Hannah Montana & Miley Cyrus: Best of Both Worlds Concert. Click through to the Channel 4 website to read all about what to expect from 3D Week. And don't miss our special feature on 3D TV in the December 2009 issue of What Hi-Fi? Sound and Vision, on sale tomorrow, November 11th.